Edinburgh-based inventor, Gary Martin, has pioneered a new high-tech solution to help people in flood risk areas developed through Scottish Government’s CivTech programme. Supported by the Scottish Environment Protection Agency (SEPA), the Scottish Flood Forum has led a comprehensive community trial of RiverTrack to test the innovative flood alerting tool. Using cutting edge technology RiverTrack sends accurate time sensitive information to individuals about their local watercourse. The system, which uses an array of low-cost sensors positioned over waterways, can give communities advanced warning when flooding is likely by broadcasting real-time water level data to display screens located anywhere in the vicinity. Water level sensors are attached to an agreed point on a stream or river and this information is then transmitted to RiverTrack’s display screen using a licence-free, low power radio frequency either with or without an internet or cellular connection. RiverTrack provides constant reassurance about the state of current river levels unlike for example home smoke detectors which only inform people when there is a problem. A trigger alert level is set by the user so that an alarm sounds if water levels reach a threshold of concern to them. The Scottish Flood Forum’s successful trial of RiverTrack in two small communities in Dumfries and Galloway and Clackmannanshire has now been shortlisted at the Holyrood Connect ICT Awards which take place on 27 June in Edinburgh. SEPA is currently conducting an operational trial of RiverTrack alongside its existing river level monitoring in the Highlands. This is part of SEPA’s commitment to support the development of new technologies which can enhance the response and resilience of small communities or individuals not currently served by SEPA’s flood warning service. “As many communities across Scotland know – flooding can have a devastating impact. One of the key ways to reduce that impact is early notice, so people can take action, and SEPA’s Floodline service provides valuable local flood warnings in many places across the country, 24/7. But recognising it’s impossible to have these schemes everywhere, we wanted to see what else we could do to help people help themselves. “The Scottish Flood Forum is delighted with this Holyrood recognition for a partnership project we are proud to have led. 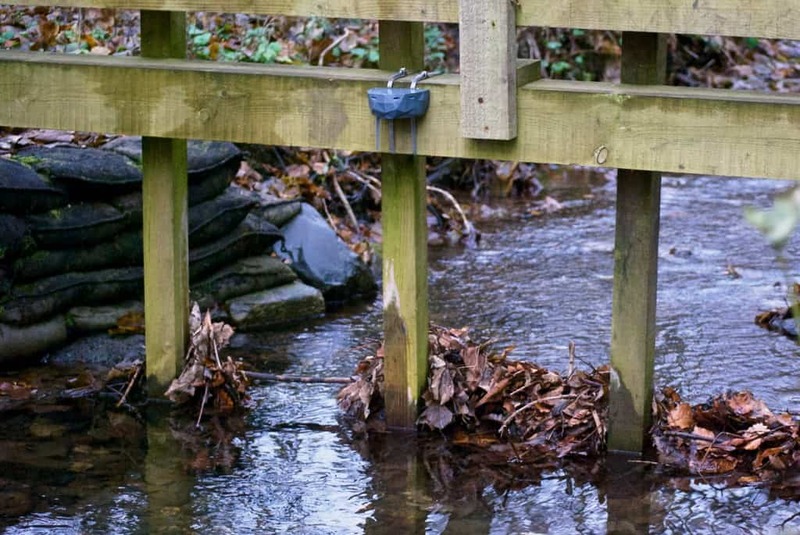 The RiverTrack device could provide invaluable help for small communities dealing with flood risk from local watercourses, and vital to that is its user-friendliness. “SEPA’s sponsorship allowed us to properly trial RiverTrack in two communities, Moniaive in Dumfries and Galloway, and Menstrie in Clackmannanshire, with involvement and support from local authorities. These pilots are almost complete and proving to be a great success, with community testers reporting very positively. “In my work, my focus has always been on using technology to help people in their daily lives by making vital data and information more accessible to them. When I saw the CivTech challenge from SEPA, I immediately thought of using a sensor-display combination to deliver real-time river level data into people’s homes and communities to give them crucial time to react. “It’s great to see the success of RiverTrack in Dumfries and Galloway and in Clackmannanshire where it has helped communities prepare for flooding. Individuals living in these areas have been able to gain a better understanding of their potential flood risks so they can take the necessary action to protect themselves, their property or their business. “The Scottish Government is committed to reducing flood risk across Scotland and is investing £42 million every year to protect homes in many of our most flood-prone areas.